Stop carrying cash - upgrade now! In addition to these incredible features, members gain access to amenities including CURewards and Mastercard® Travel Services! 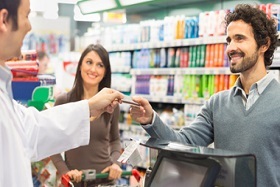 For more information on all of our Mastercard®benefits and features, visit www.lfcu.org/creditcard. Join Us for a Weekend of Celebration: Free shred event, cash prizes, free food and activities, and special checking account offer!